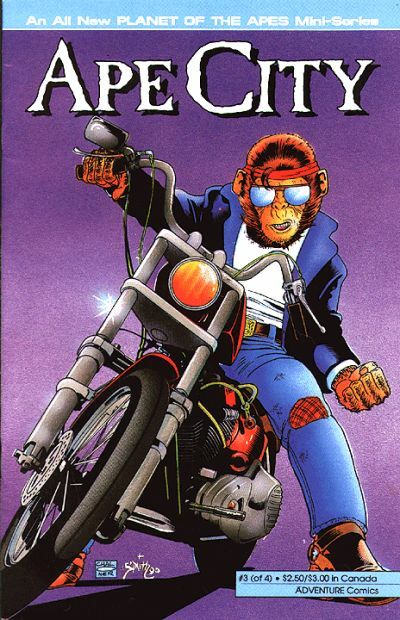 So When Exactly Did Planet of the Apes Have Biker Chimps? I liked the Planet of the Apes movies, but they’d be more awesome if it featured roving bands of biker gang chimps, right? So Where is Tarzan That He Has Chimps and Bananas?